Founded in 2010 by Catholic Relief Services, the annual ICT4D Conference is a dynamic multi-disciplinary gathering of inspiring 1,000+ international leaders and thought-provoking speakers from public, private and civil society organizations from across the humanitarian and international development community. Over three days, the international audience explore and discuss how digital technology is making a measurable difference to the lives of millions of people and share how they use innovations to increase the impact of their work. 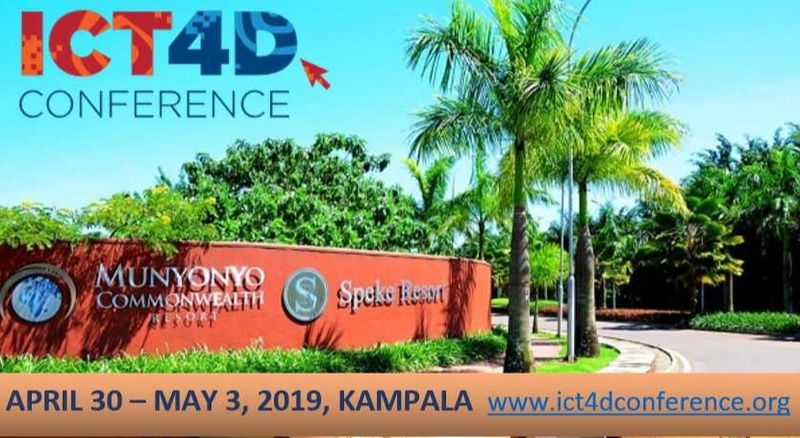 Held at the Speke Resort Munyonyo in Kampala, Uganda, the 11th ICT4D Conference will take place April 30 – May 2, 2019, followed by an ICT4D Training Day on May 3, 2019. To read more about ICT4D Conference’s audience profile, visit www.ict4dconference.org/about/audience/.